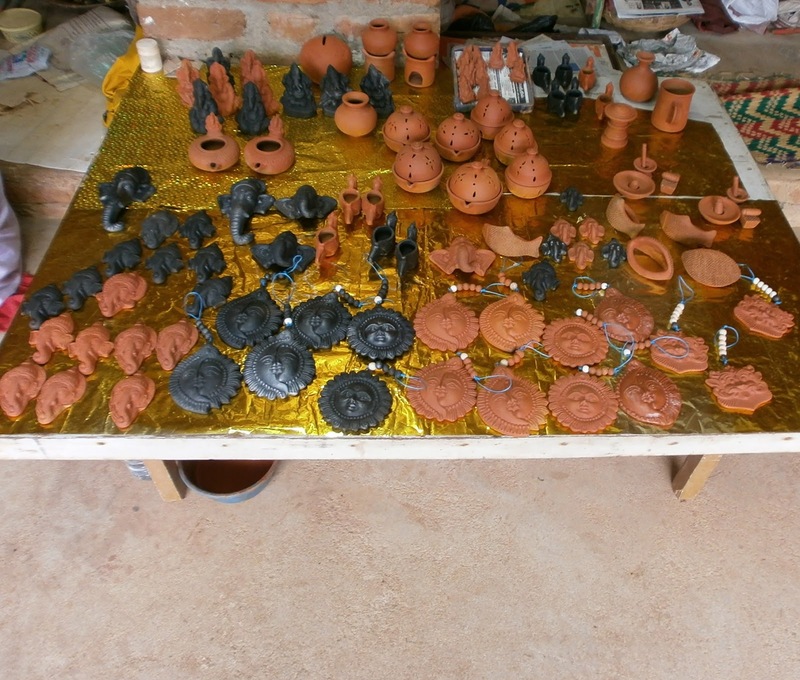 The things in the below image were made using pottery. It includes lamp, cup, hanging, hundi, God face, and so on. I like the walk hanging shown in this photo.This photo was taken at DAKSHIN CHITRA, ECR Chennai.